Dr. Catalin Loghin earned his medical degree from and completed his residency at the University of Medicine and Pharmacy in Romania. Prior to moving to the United States, Dr. Loghin held positions as attending physician in internal medicine at University Hospital Nr. 1 in Romania, and senior attending physician (consultant) in internal medicine and non-invasive cardiology at the University of Medicine and Pharmacy in Romania. Dr. Loghin completed his residency and cardiology fellowship at McGovern Medical School at UTHealth in Houston. Board certified in internal medicine, cardiovascular disease, nuclear cardiology and echocardiography, Dr. Loghin specializes in advanced interventional echocardiography, cardiac MRI, clinical cardiology, CTA and echocardiography. An experienced echocardiographer, he contributes in outpatient echocardiography laboratories at both Memorial Hermann Heart & Vascular Institute and UTHealth.. He has a strong interest in cardiac imaging and experience in cardiac positron emission tomography and diagnostic cardiac catheterization. 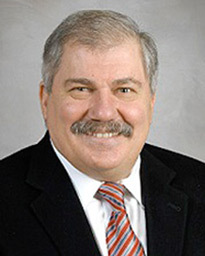 Dr. Loghin’s research focuses on cardiac resynchronization therapy in patients with advanced heart failure as guided by advanced echocardiography methods, fundamental technical aspects of positron emission tomography imaging, mitral valve pathophysiology and percutaneous mitral regurgitation repair guided by transesophageal echocardiography and non-invasive imaging of vulnerable atherosclerotic plaque by magnetic resonance imaging. An assistant professor in the Division of Cardiovascular Medicine at McGovern Medical School, Dr. Loghin is a member of the American College of Cardiology, the American Medical Association, the American College of Physicians, the American Society of Internal Medicine, the Harris County Medical Society, the Texas Medical Association, the Romanian Society of Cardiology, the Romanian Society of Physicians and the Nature Scientists. He also serves as a reviewer for Circulation, Journal of the American Heart Association and the Journal of Nuclear Medicine.